We are an acclaimed name engaged in offering our precious clients a superior quality range of Mouthwash Bottle. Our offered bottle is manufactured at our latest manufacturing unit under the direction of highly skilled professionals. Tested against different quality parameters, it is widely applicable in cosmetic industries. 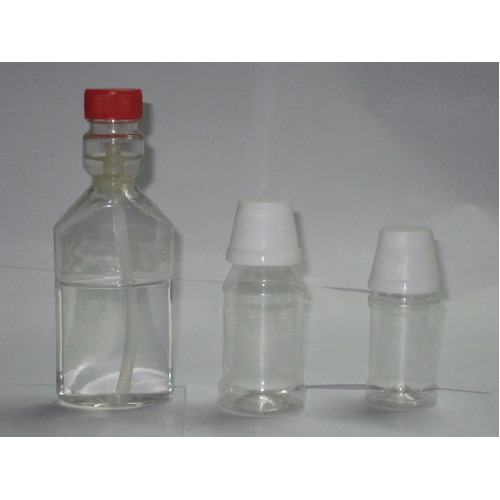 We offer our quality-tested bottle as per the need of the clients at reasonable prices. Established in the year 2005, in Ahmedabad (Gujarat, India), we “Bansri Botcap Industries” are known as the most reputed manufacturer and supplier of Oil Bottles, Cream Jars, Plastic Jar, PET Plastic Bottles, Plastic Spray Bottles, etc. Our company is Sole Proprietorship (Individual) based company. In compliance with the latest market development, our offered products are manufactured using high quality raw material and advanced technology. Owing to their feature like perfect finish, durability, leak proof, crack resistance, light weight and excellent quality, these products are very popular among our clients. These products are tested on various quality parameters by our quality experts to ensure their quality at our user' end. As per the needs of our clients, we provide these products in different sizes and other related specification.